Here’s the view I’m looking at right now. 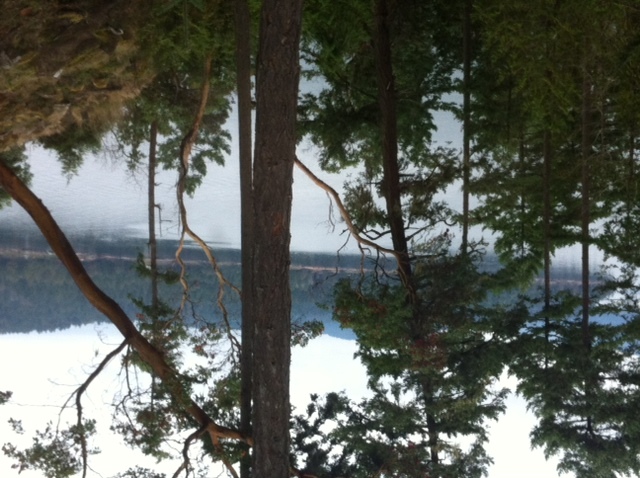 I’m visiting my friends David and Andrea Spalding on Pender Island this weekend just in time for the Santa Boat visit. Last night we had a lovely dinner (Andrea is a gourmet cook, lucky us). This morning, the guys went off birdwatching. Andrea and I will head out shortly for the Santa Boat, which I can hardly wait for. More on that later. Since Santa isn’t arriving until around noon, we had a chance to talk books which I always enjoy. She showed me her new book, Seal Song which is just gorgeous. Both the text and the illustrations of this classic transformation story are exquisite and I’d highly recommend it as a beautiful Christmas gift. Don’t worry about limiting this to young children though. If anything, it’s one of those picture books for all ages as the language and story are so rich and layered that it will hold up to being read over and over again.